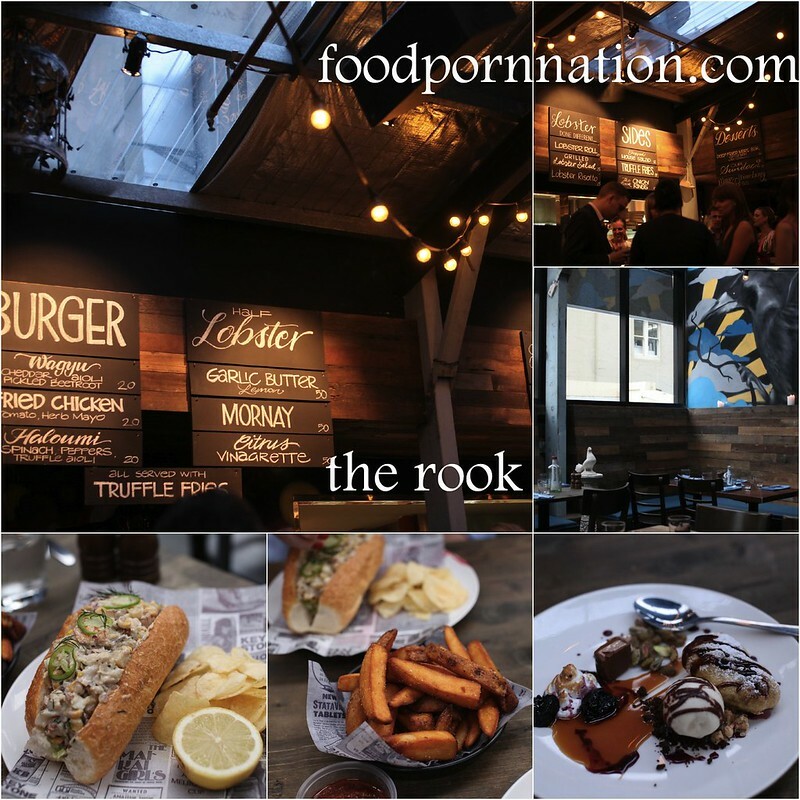 The Rook is the newest venture from the Keystone Group and is responsible for likes of The Loft, Cargo Bar & Bungalow 8. It is considered the latest Rooftop bar to hit Sydney. Well… ‘ish’. There is an open bit, some windows (some plastic-ky ones) and hopes to make the rooftop retractable. It appears to be loosely based on London’s Burger and Lobster concept, where the menu is limited to burgers and lobsters. Word of mouth is that the food isn’t The Rook’s strong suit. Its a great place to have an after work drink, draws on a buzzy crowd, bangs out some good tunes but appears to fall short on the food front. Remaining positive, I am keen to find out for myself. The lobster roll ($25) comes positively jammed packed. 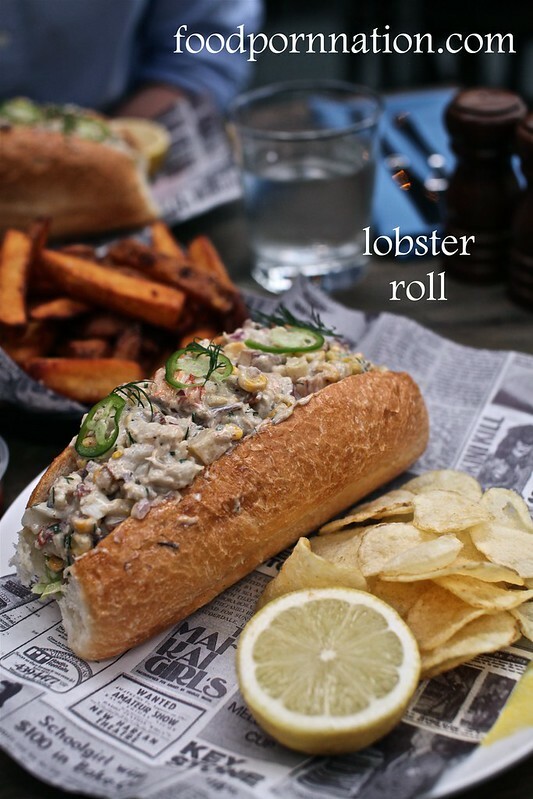 The lobster filling includes additions of potato, corn, mayo, onion, jalapenos and bears a strong likeness to a potato salad. Unfortunately, it was under seasoned and missing a bit of punch. Yet the flavours were strong enough to overwhelm the delicate lobster. Being one who likes to “eat with their eyes” I found that I would have also preferred the lobster in larger chunks. I really wanted to see the hero of dish and then, I wanted to be able to feel it when I tasted it. 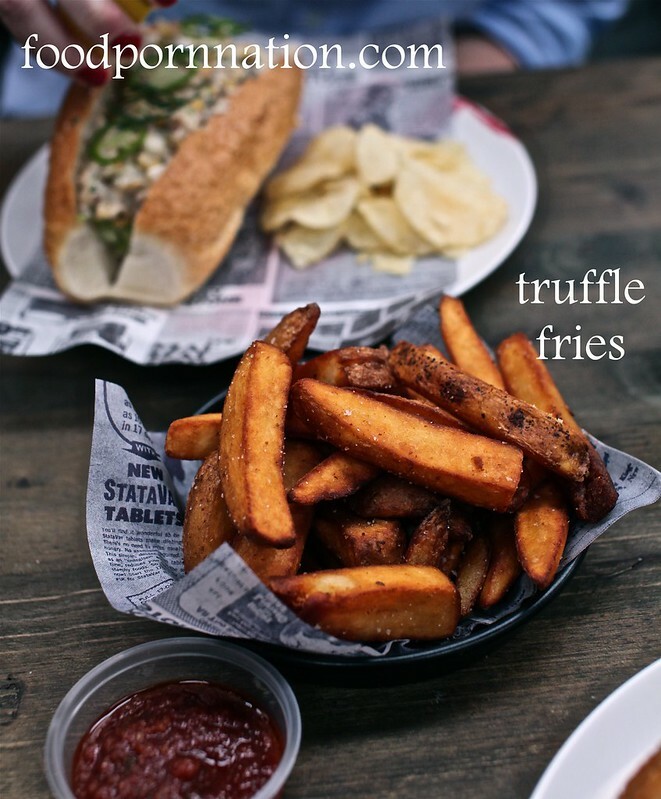 Truffle fries quickly make for good munching. Yet the truffle flavour is lost on me very quickly and appears to be only lightly doused. They smell and taste delicious at first but unfortunately the wonderful aroma quickly subsides. The side of tomato salsa quickly comes to the rescue. It’s smokey, tangy, acidic and quite intense. Delicious as it may be it doesn’t quite make up for the absence of that beautiful truffle.